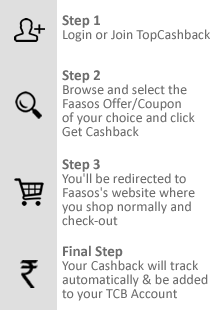 Sign up for free and just shop with Faasos as normal. Our average member earns over ₹5900 cashback a year. Faasos is an online order and delivery food business which takes customer order via its mobile app and website. Whether you are searching for biriyani or rice feasts or meals or some quickie wrap bites, you can find them right here to satisfy the foodie in you. Faasos also offers some amazing combo deals such as All Day Lunch Box and Breakfast where you can find several types of cuisine such as Chinese, continental and Indian. You can also find some amazing Indian items and meal combos, side dishes, dessert items and beverages. TopCashback has the highest money back rates and the latest Faasos coupons, so whether you are looking for breakfast, lunch or dinner, make sure to order with TopCashback to get attractive discount deals and highest cashback on your every online good delivery. 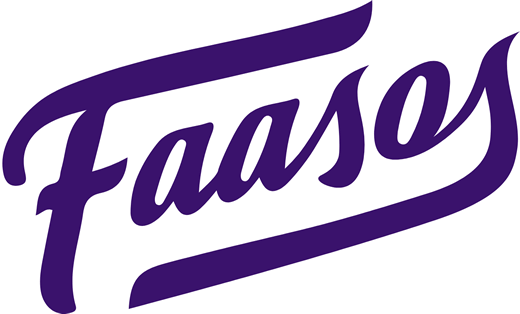 Faasos was founded and incorporated in 2011 by Jaydeep Barman and Kallol Banerjee and currently serves in 15 major cities in India including Delhi, Mumbai, Chenna, Pune and more and has over 125 fulfillment centers throughout India. Headquartered in Pune, the company has quickly become one of the largest online food delivery services owing to their vertically integrated business model and the huge menu option that is offered on the Faasos portal. Who doesn’t like Biryani?! You can find some amazing biriyani on Faasos such as chicken and paneer. Apart from Biryani, the portal also has an excellent rice bowl collection which includes flavored rice items with several vegs and nonveg items like chicken tikka, rajma, chili beans, mutton bhuna, paneer, reshmi chicken, and kebabs. While you’re at it, don’t forget to use the latest TopCashback offers to save more on your every online food order. Faasos offers some excellent combo meals such as all-day breakfast and lunch which consists of both veg and non-veg items across cuisines like Chinese, continental, Indian and much more. Starting from breakfast items like aloo paratha, omelets, sausage to lunch items like dal rice, kheema rice, butter chicken rice and rotis with non-veg items are also available. Faasos also has some Royal Indian meal combos where you can get a full platter of Indian items with rice, rotis, veg or non-beg items, sweets and desserts. Not feeling like cooking? Order today with Faasos using TopCashback and get excellent cashback on yummy food. The portal also has a huge collection of snack items such as pancakes, meatball sliders, tea, nuggets and dessert items like chocolate cakes, gulab jamun, cheesecake shots, muesli, potato shots and much more. Beverage items like smoothies, cold coffee, mango, and chocolate shakes. How to order Food online and get Cashback? 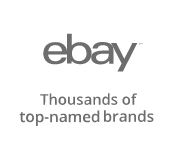 TopCashback is India’s premier cashback site where we offer you guaranteed highest money back on all your purchases across hundreds of categories and over 500 merchants. You name it – we have it! We are also the only company in India offering 100% cashback, which means you earn more when you shop with us, than our competitors without any hidden charges at all. Placing your online order on Faasos through TopCashback is really quite simple. All you have to do is, click through our merchant page and we’ll forward you to Faasos website where you order food online as normal. Make sure to look our exclusive Faasos coupons if available to get bumper discounts on your order. Once the purchase has been made, the cashback will be added to your TopCashback account in pending status. You can withdraw this through one of the several payment gateways listed on our website once it reaches payable. This is real cash. Shopping and getting money back using TopCashback is really that simple and the best part is we are a free join and use website, what you see is what you get! 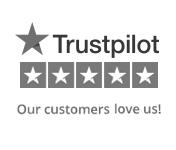 Our cashback is valid over all existing discount coupons so you earn extra money. If you want to know more, please read our handy guide to how TopCashback works and join us for free to start saving on your every online shopping today! 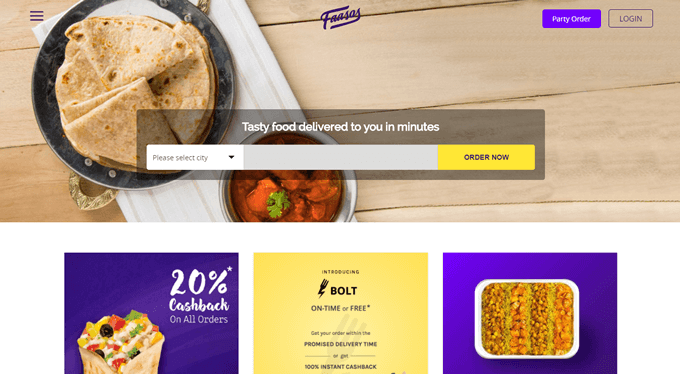 Faasos is an online “food on demand” website where it takes online food orders from its’s customers and delivers hot and yummy food right to their doorstep. The portal offers an excellent menu where you can order for right from breakfast to lunch and dinner from Chinese, Indian, Continental and Mexican cuisines. Whether you are looking for Indian thalis or American breakfast, the company has it all on their portal and offers an amazing 30-minute delivery guarantee. You can also find breakfast items and lunch combo items on the website. Order with TopCashback to get amazing discounts with Faasos coupons and get the highest money back rates on your every online food delivery.